Rangers chief executive Graham Wallace is expected to reveal some of the contents of his 120-day business review on Friday. Having announced that he was embarking on the process at the annual meeting of shareholders in December, it has become the focus of attention, a symbol of the intentions of the current board but also of Wallace's ability or willingness to win over the Rangers support by being open and transparent. So what are the main issues and why is the completion of the review considered so significant? Here are the main questions ahead of its publication. Is it not just normal practice for a new chief executive to examine the business? Yes, but having made the pledge at the AGM - which had been built up into a momentous occasion by the attempts of four nominees, Paul Murray, Alex Wilson, Scott Murdoch and Malcolm Murray, to be appointed to the board - Wallace tied himself into his outcome. Even the timescale was scrutinised, since football clubs are essentially simple businesses to understand, with fixed costs and cash flows. It could have conceivably been completed in a quarter of the time, yet the 120-day deadline passed on Thursday 17 April with only notification from the club that an update would be published eight days later. Wallace has acknowledged that cuts are required, since costs are higher than revenues, so the review is expected to reveal how he intends to rebalance the business but also how fresh investment will be sought. It has attracted such attention, much to Wallace's exasperation, that it has become the defining moment of his regime so far. How specific will the update be? That is the key point. Having asked for 120 days and then taken longer to produce it, the expectation is that the review will provide significant detail and clarity about the way the board intends to rebuild Rangers. Wallace was only appointed late last year so cannot be held accountable for the spending of money raised when Rangers International Football Club was launched on the alternative investment market and the two tranches of season-ticket income. That is in the past and supporters and investors also want to know how future funding requirements will be met. Rebalancing the business by cutting costs will buy time but will not address the need for new investment. The playing squad needs refreshed - with departures as much as arrivals - the football infrastructure needs modernised and improved, and there are maintenance requirements at Ibrox and Murray Park, all of which needs to be paid for. What options does Wallace have? He is a chief executive restricted by circumstance. To meet costs, Rangers needed to seek a £1.5m loan in February from shareholders - Sandy Easdale and George Letham, although the latter's loan was the replacement for one provided by the majority shareholders, Laxey Partners, who were being paid a higher fee. Rangers have no financial slack, with cash reserves having run out and no access to credit. Season-ticket sales are crucial, since the interim results released in March revealed that going concern status was only granted on the basis that there would be a rise in uptake and an increase in prices. How much money comes in from renewals will determine how long Rangers can operate without seeking external funding. If the renewals fall, and there is material doubt about the business's ability to trade for the next 12 months, any season-ticket income ought to be ring-fenced to protect it. Is a fresh share issue likely, then? Wallace has said in the past that the business will need to return to the market to raise finance. His intention has been to complete the review, identify the funding requirements and then take a business plan to shareholders and potential investors. Dave King, the former Rangers director, has spoken of his intention to invest again, despite losing £20m that he put into the club under Sir David Murray's ownership. King has been critical of the board and has supported the Union of Fans' plans for a season-ticket trust fund, which would pool supporters' renewal money but only give it to the club in return for security over Ibrox and Murray Park, although the current directors are on record as saying they have no intention of seeking borrowing against the two main property assets. 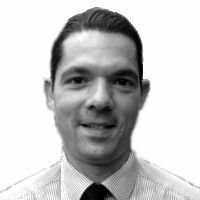 If King was to underwrite a new share issue, though, current shareholders would need to reinvest to maintain the size of their stakes and King could end up fundamentally changing the shareholder dynamic and effectively taking control of the business. If season-ticket sales do fall, is there a threat of administration? Without enough season-ticket revenue, Rangers will be unable to trade for the next 12 months without drastic cost cutting. A second administration can be avoided if the board seek external funding, with the only likely source being a rights issue. This requires shareholder approval, although it is questionable if it would raise enough funds with the share price currently being so low. This is where King wants to enter the fray, but those currently in control of the club would likely lose their grip on power. It is this impasse that Wallace needs to find a way round. His own credibility is on the line, as well as his professional judgement. Can Wallace win the fans over? Anybody taking the role of chief executive after Charles Green and Craig Mather would have faced an onerous task; supporters were weary and cynical. 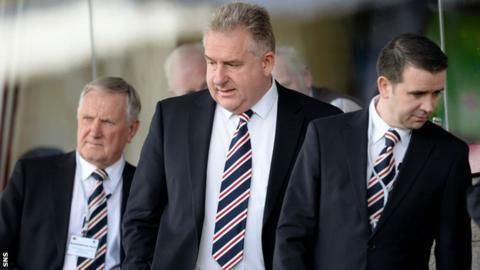 Wallace has made significant decisions - such as removing the finance director, Brian Stockbridge, and the PR consultant, Jack Irvine - but the Union of Fans has asked if he has removed the bonus culture at Ibrox and sought clarity on his own remuneration package. King also posed pointed questions about whether or not the board were seeking finance in December, at a time when Wallace was insisting that there was enough cash in the bank to see them through to the end of the season. He has been a chief executive under scrutiny and that will become more focused when some of the contents of the review are released. It has a lot of expectation to meet.